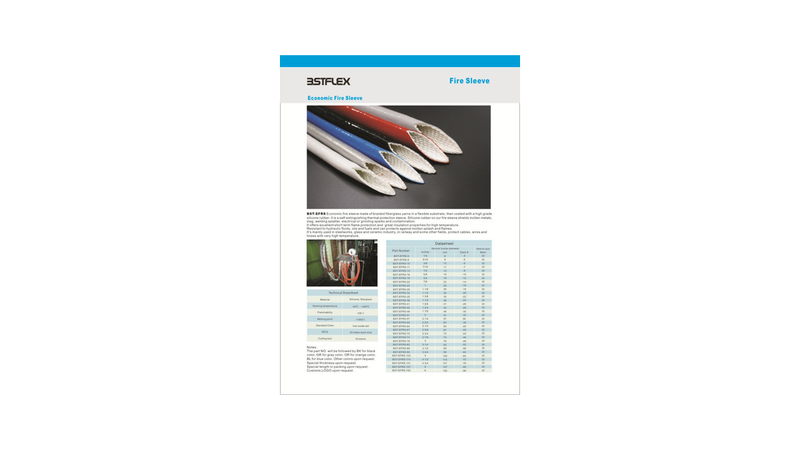 Fire sleeve is designed to protect hoses, wires and cables from the hazards of high heat and occasional flame. Fire Sleeve protects continuously to 260°C/500°F and will withstand a molten splash at 1200°C/2200°F. Made of braided fiberglass yarns in a flexible substrate, it is then coated with a high grade silicone rubber. Resistant to hydraulic fluids, Lubricating oils and fuels, Silicone Sleeve insulates against energy loss in piping and hosing; protects employees from burns; and allows bunding of wires, hoses, and cables. 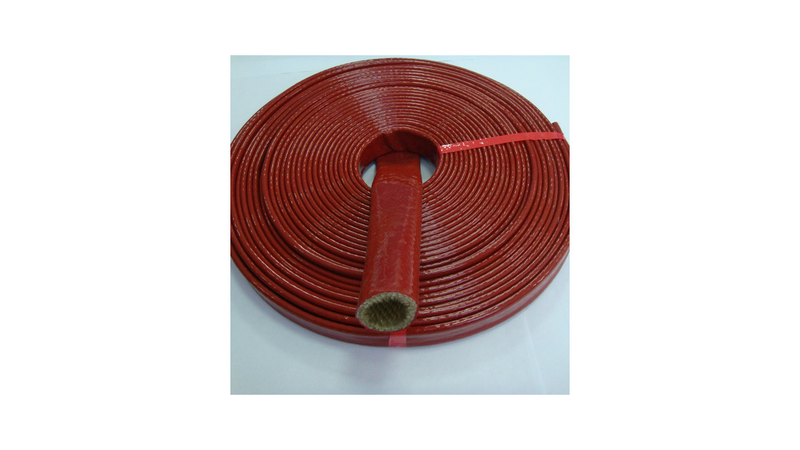 Industry Fire sleeve is the perfect cover to protect hydraulic hoses, pneumatic lines and wiring bundles.